I've attached a PNG image that shows the "Access denied" message, and an illustration where this is happening (in file fckeditor/editor/js/fckeditorcode_ie.js). By the way, all works great in Gecko (FF2). 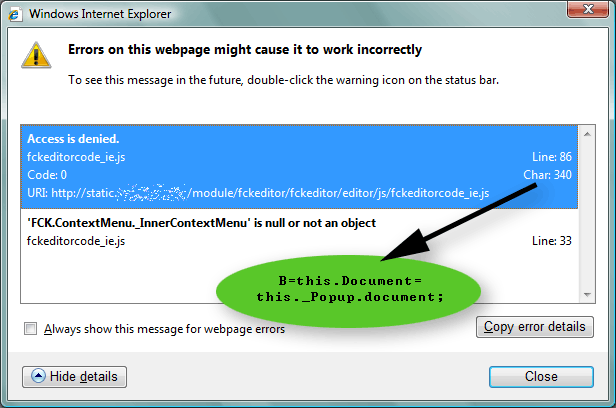 Is this a bug in IE7? Any suggestions on how to fix this one?